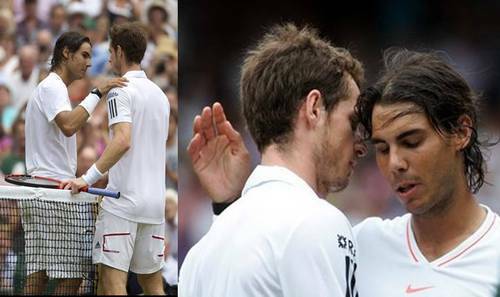 Happy Andy in the embrace of Rafa !!. . HD Wallpaper and background images in the Теннис club tagged: tennis roger federer rafael.